I really lucked out and ended up at a Trader Joe’s AGAIN this weekend! While I was there I picked up some coconut oil. I’ve heard that it’s a nice alternative to other oils and butter in baking and cooking so I decided to try it out. I’ve also heard that it can be used for a number of different beauty treatments (like a conditioner for hair, a lip balm, skin moisturizer and shave balm) but I can’t attest to any of those. Either way, it smells great (if you like coconut) so I can see why people would want to use it as a beauty product! We were going over to my brother’s house for dinner and I wanted to make some brownies to bring for dessert, so I decided to try using the coconut oil. I used a basic brownie recipe and just replaced the butter with coconut oil. 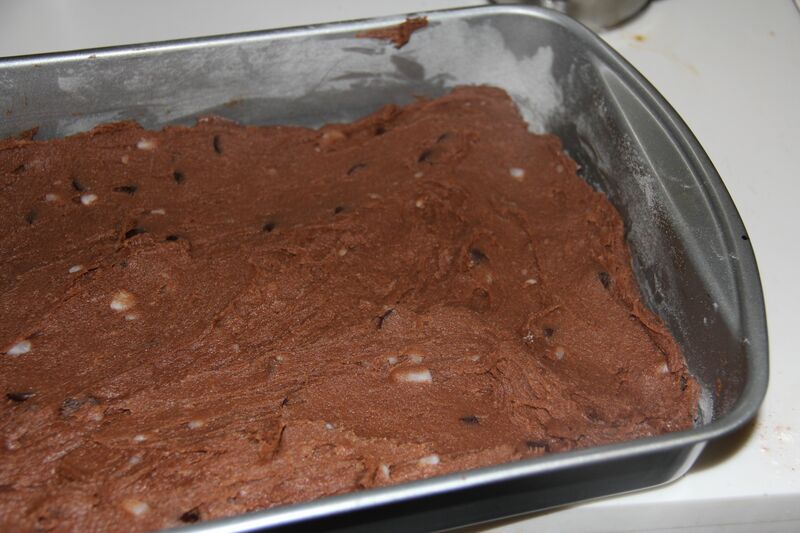 I was curious to see whether the taste of the coconut would show up in the final product; I think that coconut would be a nice addition to a chocolate brownie but it might not be welcome in other dishes. 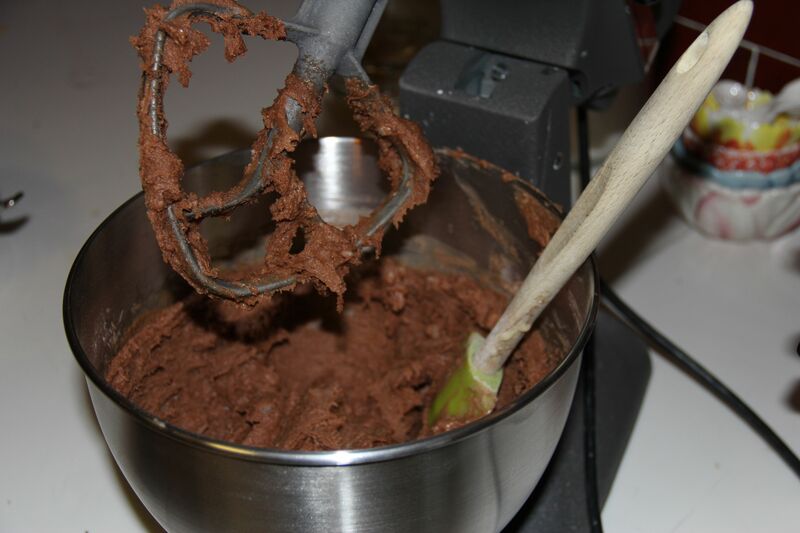 It turns out that it was pretty noticeable in the cooked brownies – it actually made the house smell like coconut too! It seems like this is some pretty potent stuff, which is good to know if you are thinking of using it in other recipes. Combine the sugar, eggs and oil. 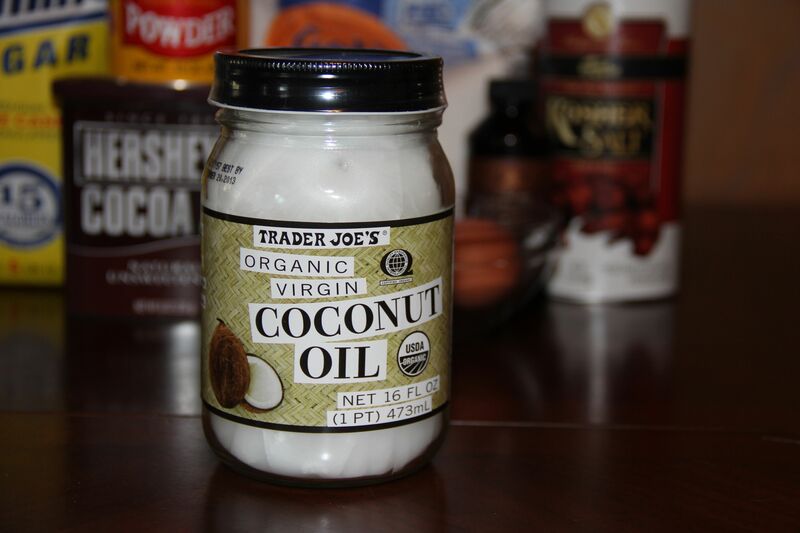 The coconut oil is a solid, so soften it in the microwave for 30 seconds or so on medium power. 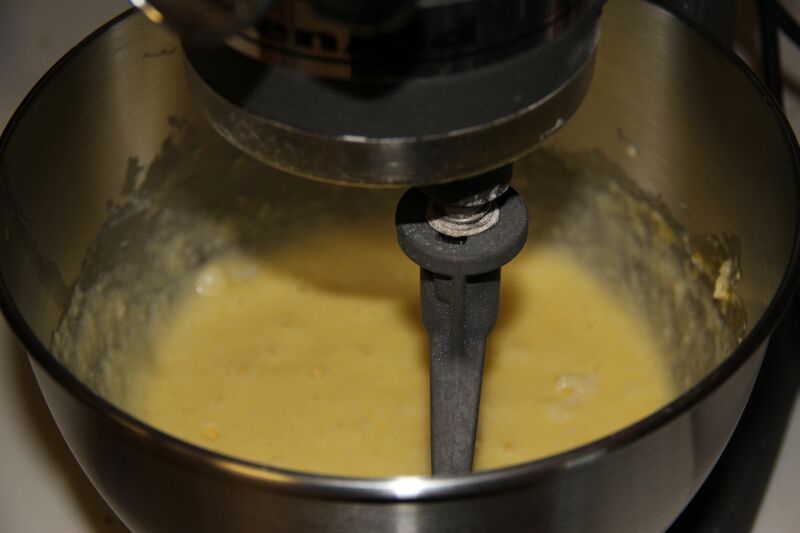 Use an electric mixer on medium speed until creamed, about 2 minutes. 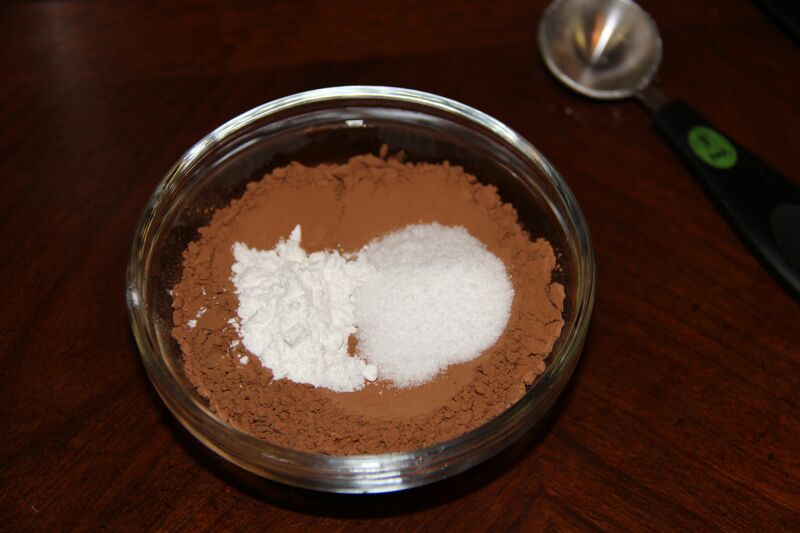 Combine the cocoa powder, salt and baking powder. 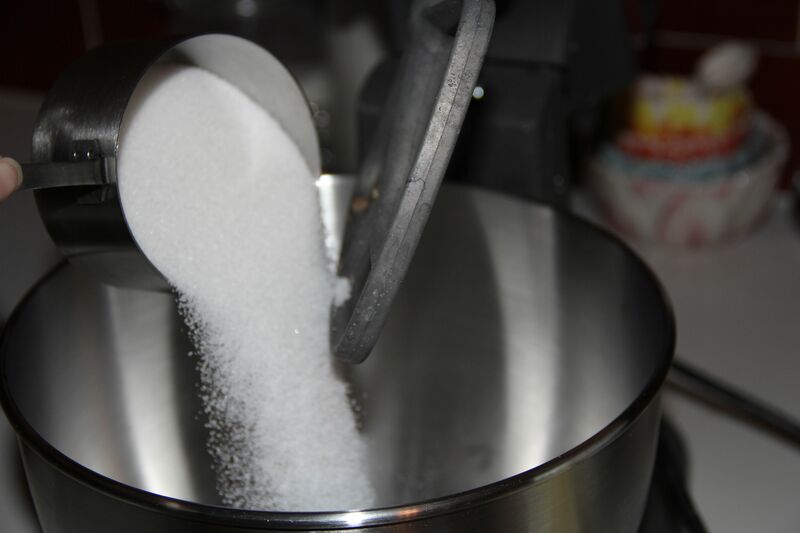 Slowly stir in the dry ingredients into the sugar mixture until combined. 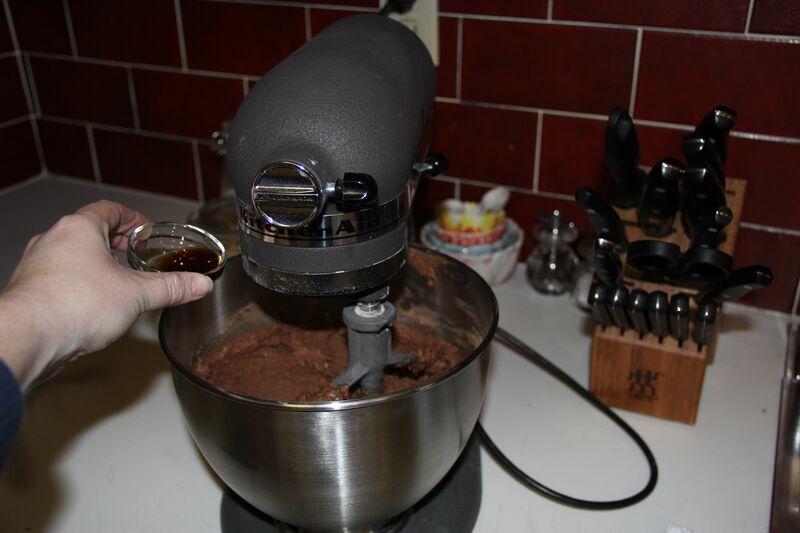 I was originally going to mix the dry ingredients in by hand (which is why the bowl isn’t on the electric mixer anymore) but the batter was thicker than a normal brownie batter, so back onto the mixer it went! Add in the vanilla last. 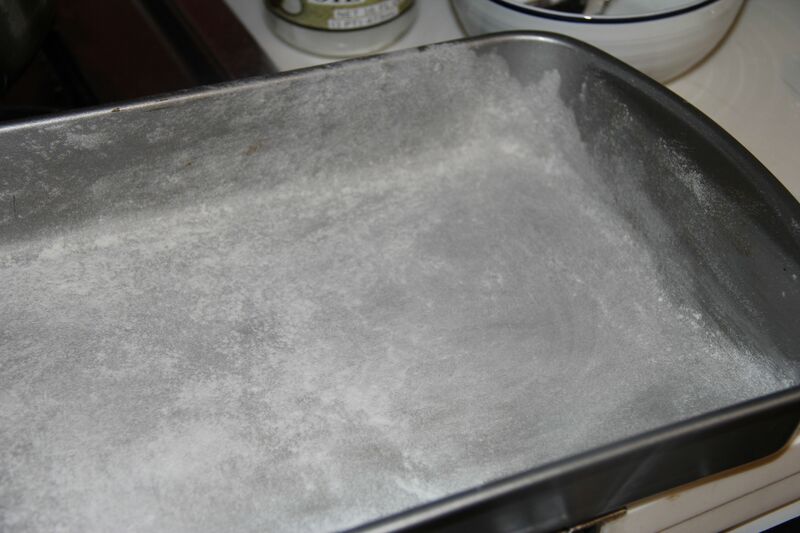 Use some of the coconut oil to grease a pan and then coat with a tablespoon or so of flour. This will keep the brownies from sticking. 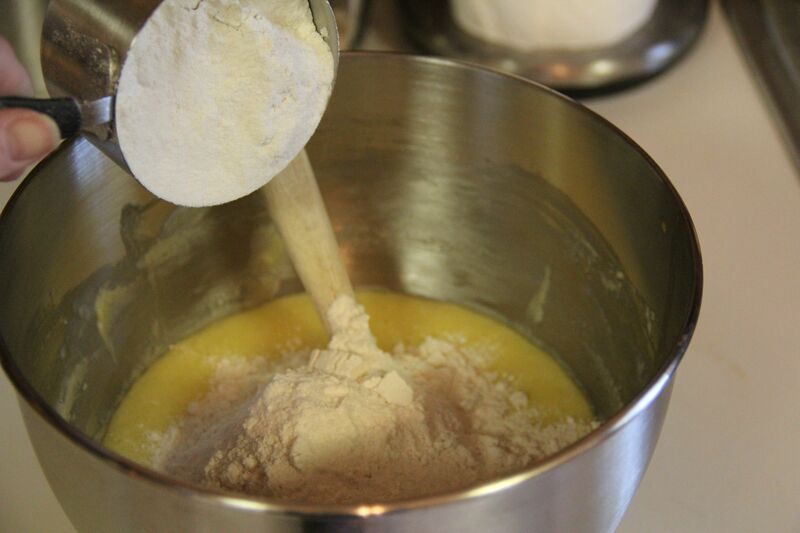 Turn the batter into the pan. It’s really thick so you’ll have to work with it to spread it out. I found that running a spatula under hot water helped make the batter easier to work with. 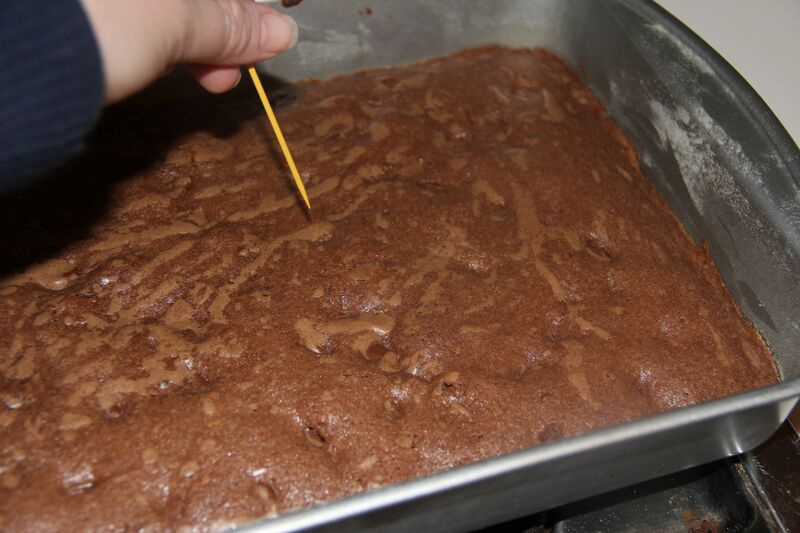 Bake the brownies for about 20 minutes or until an inserted toothpick comes out clean. Preheat oven to 350 degrees. Grease and flour the bottom of a 9×9 inch pan. 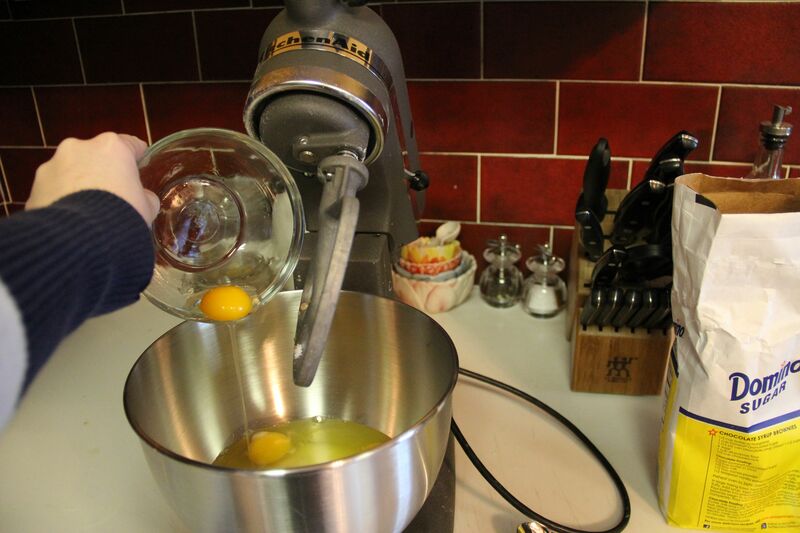 Combine the sugar, eggs and coconut oil in the bowl of an electric mixer and mix on medium speed until creamed. 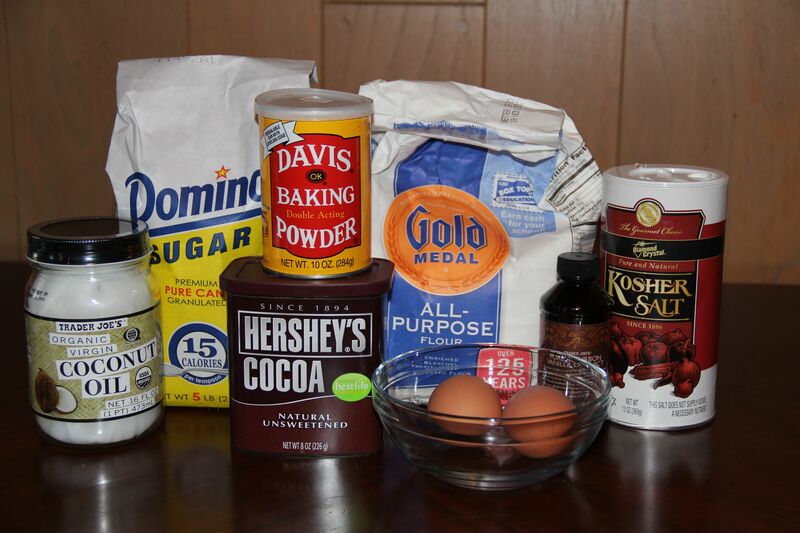 Slowly mix in the flour, salt, baking powder and cocoa powder until combined. Mix in the vanilla last. 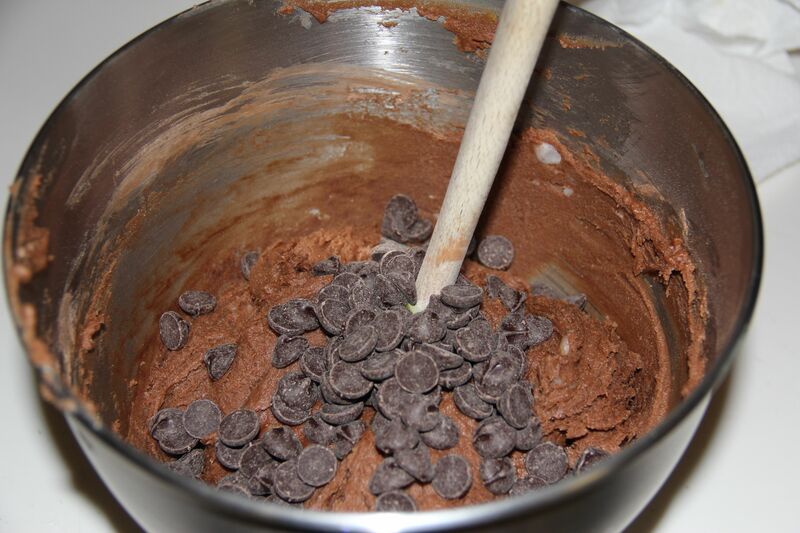 Add in the chocolate chips and stir by hand. 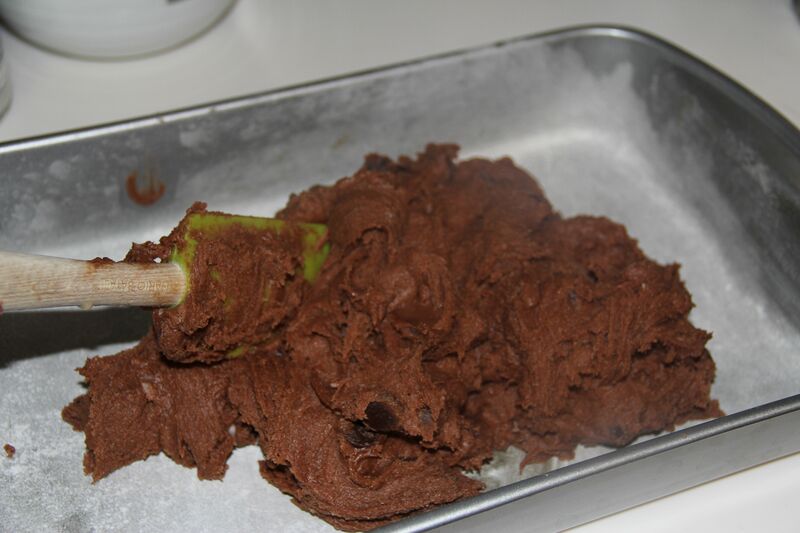 Spread the batter evenly with a spatula. Bake until an inserted toothpick comes out clean, about 20 minutes. Thank you for this recipe, Chrissy! I tried the brownies and they came out great! 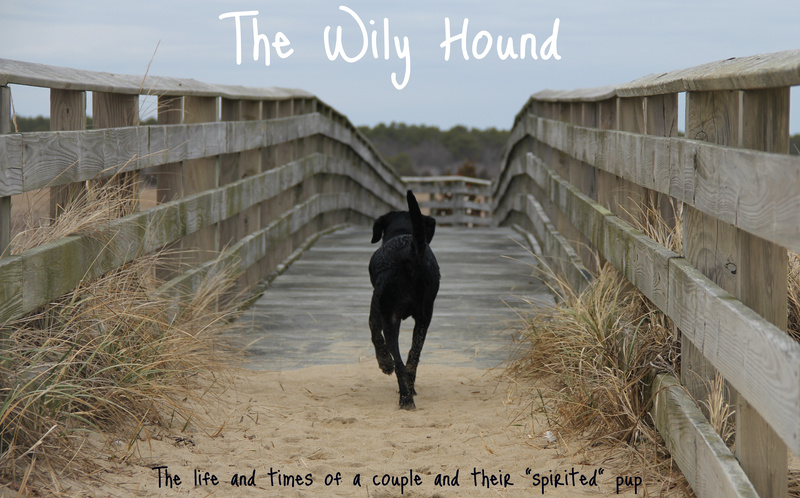 I am sharing the recipe (and the link to this page) with our customers! Our company, Kee Botanicals, makes body care products with organic coconut oil and other organic ingredients (www.keebotanicals.com). 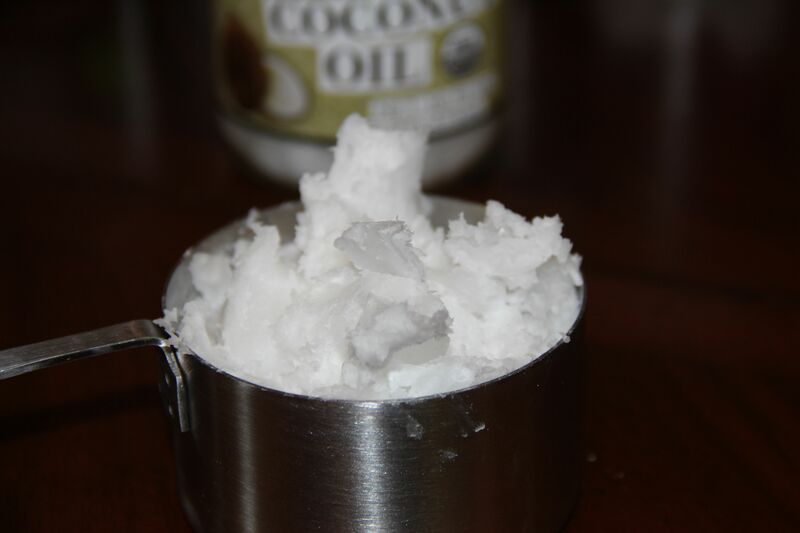 We love organic coconut oil as a skin care product plus we cook with it and bake with it too! 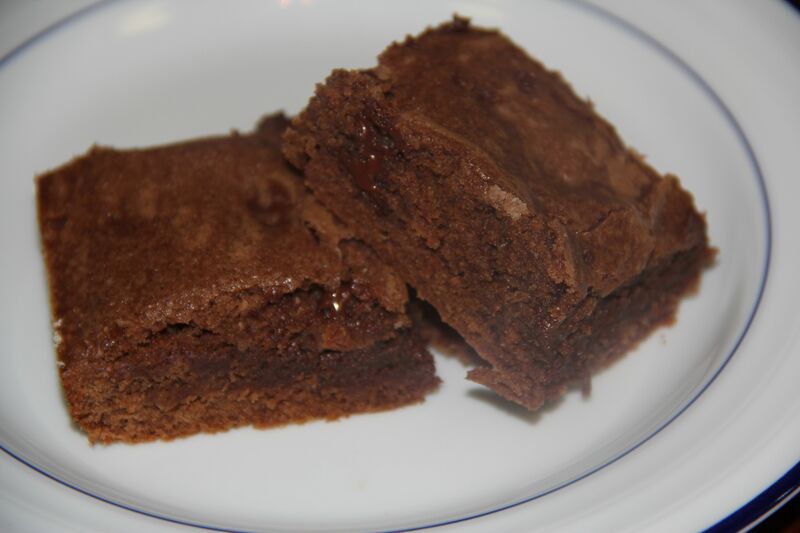 Our customers are also fans of organic coconut oil so I am glad I can share this delicious brownie recipe with them! Happy Holidays! I’m so glad you liked them, Theresa! Your products look amazing, I am officially inspired to try coconut oil as a beauty product. Thank you for sharing the recipe!